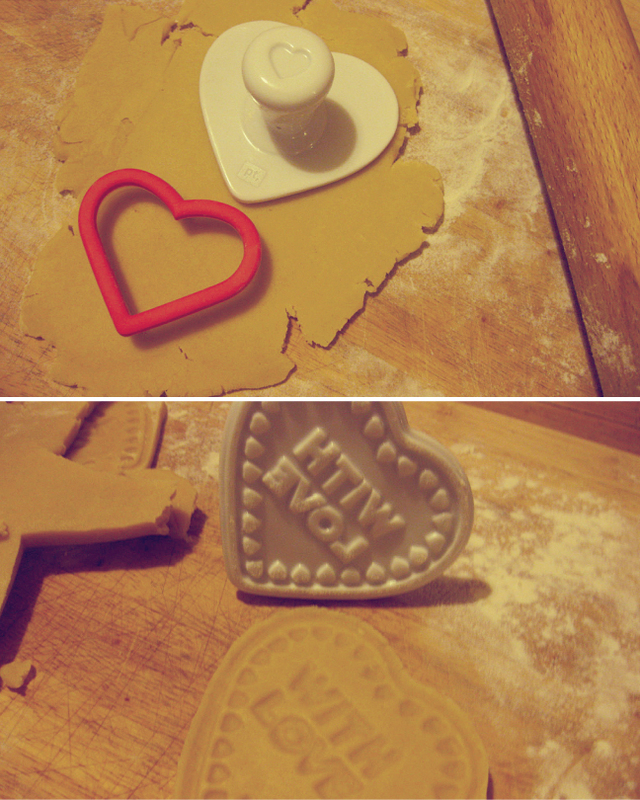 I may have gotten a little carried away with my baking and heart obsessing this Valentines. 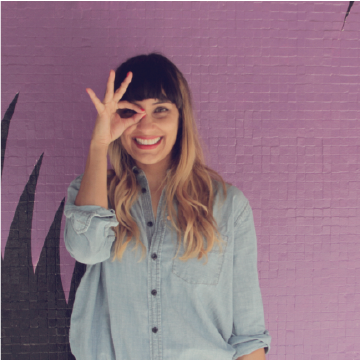 With so many inspiring recipes and ideas on pintrest, it was really hard narrowing down my projects. And with so many eager sweet tooth's around this joint, I knew excess goodies was not going to be a problem. 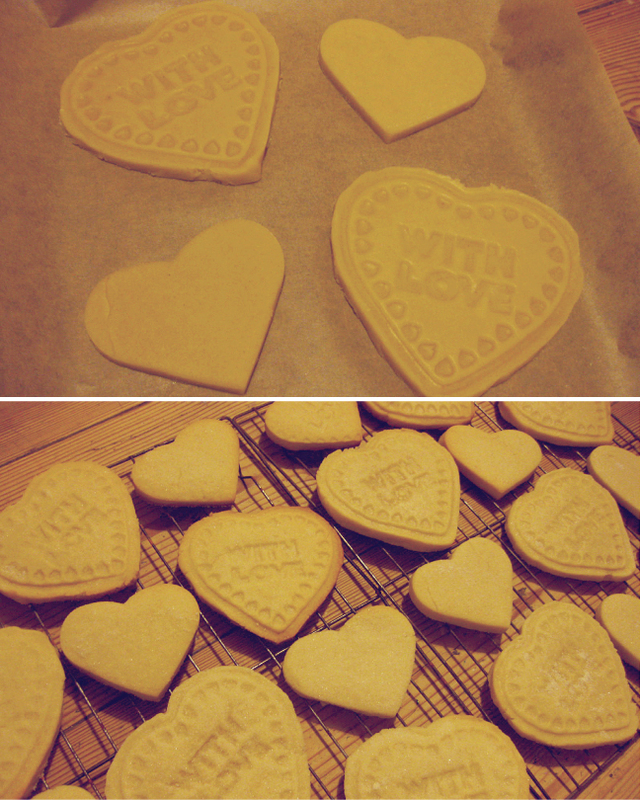 Sugar cookies are always such a well received treat and these were no exception! I decided to keep these simple with a light coating of sugar and a few stamped cookies in the mix... you know, let the taste take the lime light! Using an electric mixer, beat the butter and sugar until light in color. Add in the milk and combine well. With the mixer on low speed, gradually add in the flour mixture and beat until it begins pull away from the side of the bowl. 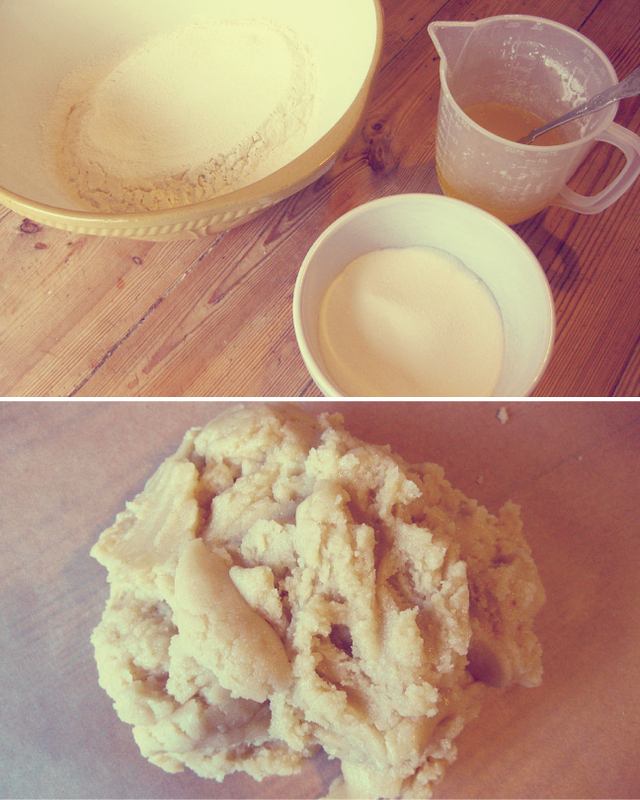 Divide the dough in half, wrap in baking paper, and refrigerate for at least 2 hours. I actually made my dough the day before so feel free to refrigerate up to 48 hrs. Preheat the oven to 375 degrees and let the dough soften a bit for easier rolling. You can leave the other half of the dough in the refrigerator until you are ready to use it. On a lightly flour sprinkled surface (I like using a wooden cutting board) start rolling out the dough into 1/4" thickness. 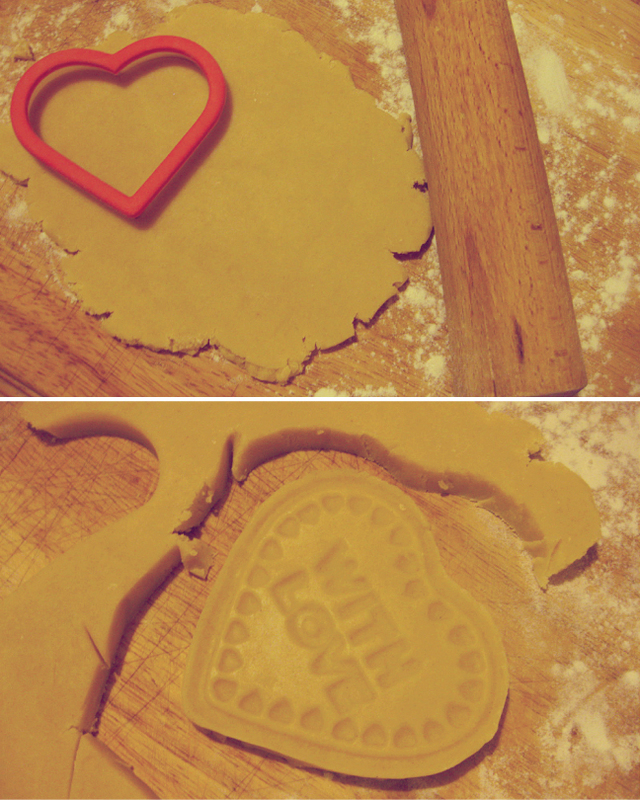 Use a heart shape cookie cutter and stamper to cut out the dough. Put the 4 tbsp. 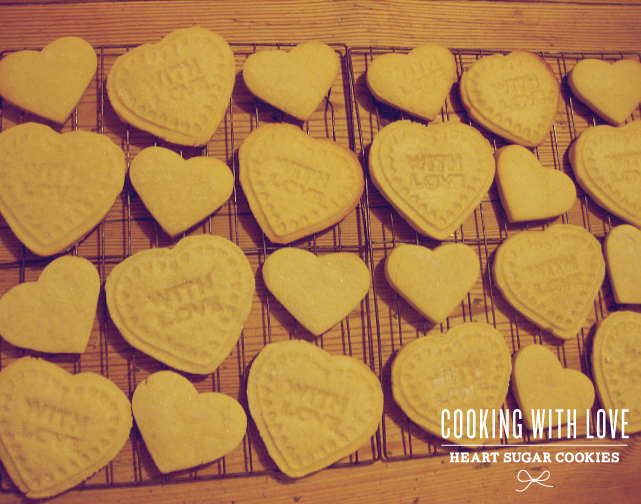 of sugar onto a small dish and place each cut out cookie onto it to coat with sugar. Lightly press down on the back with your fingers to help the sugar stick. Place sugared cookies on a baking tray lined with baking paper, about 1" apart. I like to place each tray back in the refrigerator for 2 minutes to help the dough harden slightly before baking but you can step this step if you like. Bake for 9-11 minutes or until golden around the edges, rotating the tray halfway through. Baking time may vary depending on the size of your cookies. My bigger hearts were about 4" and the smaller ones were about 3". Let your cookies cool down for 5 minutes on just the paper before transferring them to wire racks. Let cookies cool completely and then dig in... enjoy!